Packaging machines -·"Made in Germany"
AFFELDT – this name stands for decades of experience and progress in the field of vegetable packaging. 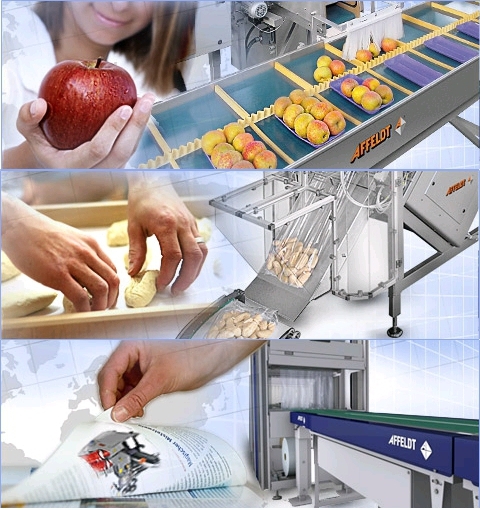 Due to the future-oriented technology and the vast range of equipment, AFFELDT is considered a reliable partner throughout the packaging industries. The origin of AFFELDT goes back to 1864. With approximately 80 employees we design and manufacture state-of-the-art packaging lines for a very wide range of products such as fruit, vegetables, press publications, bakery goods, confectionery, frozen food and other food and non-food articles. The AFFELDT machines are configured for the customer requirements and are installed by our highly qualified service team. During your production we take care of after sales needs. Based on the experience of our indoor service team we are able to define the damage parts on the phone. The OEM spare parts are available from stock.